In the photos it looks like the ones K9YC built? It should have something like 2300 ohms of common mode resistance at 10 Mhz. ( see the chart on page 40 of the link above. ) The antenna still seems to listen and talk well but the funny thing is, both my LDG auto tuners, AT-897 and AT-7000, put up a huge fuss when I tune at 160 meters when the antenna is 2 to 1 SWR or more? They didn't do that with the 9 in line toroids. I tried 6 turns in 2ea torroids but it only got worse. Calling for help I email'ed K9YC. The conversation begins below. "correct" parts for the current balun on my 160 Meter Carolina Windom. about 1/2 way down the page. Thanks for the kind words. And congrats on winning the radio! you are using the 4:1 balun. way up on 10M, and it's at the wrong place in your antenna. 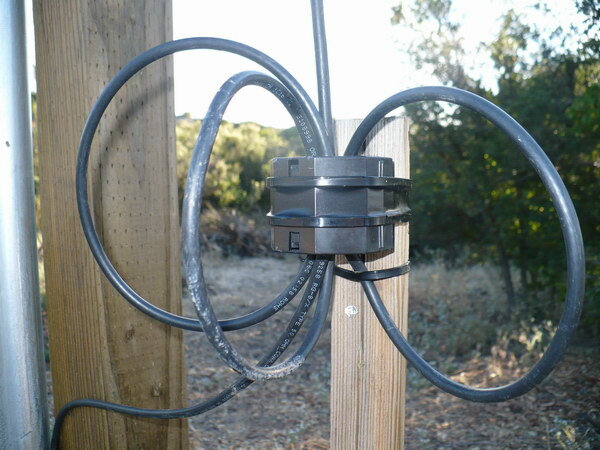 an OCF antenna is intentionally part of the antenna! antenna feed point (that is, up in the air). feed point, and it's going to seriously detune your antenna. those sold by Hypower Antenna Co. I've done both, and both work very well. Thanks for your extensive reply. I better order some more torrid!. The Carolina part of the Windom, according to the internet that is, is the vertical feed line from the 4:1 balun to the bottom of the antenna is suppose to act as a vertical radiator. This is suppose to fill in the multiple lobes you get as you work the antenna on 80 through 10M. At the base of the antenna you put a current balun in the feed line to stop the radiation / common mode at that point. The best discussion of this was at http://www.w5fc.org/files/QRP%20Expressions.pdf . Today the antenna is resonate, VSWR 1.5-,1 at 1.8Mhz and my tuner does a quick tune and is happy. At 2.0Mhz, VSWR at 3.5-1, the tuner does a long tune every time like it didn't remember it just tuned there. I am only using 100 watts so assume I won't have a heating problem. The funny thing about noise is there is about 1/2 as much on 20 M as my R7000 vertical. A little less signal on the Windom sometimes but 1/2 the time more signal. Guess it depends on the polarization on the received signal. 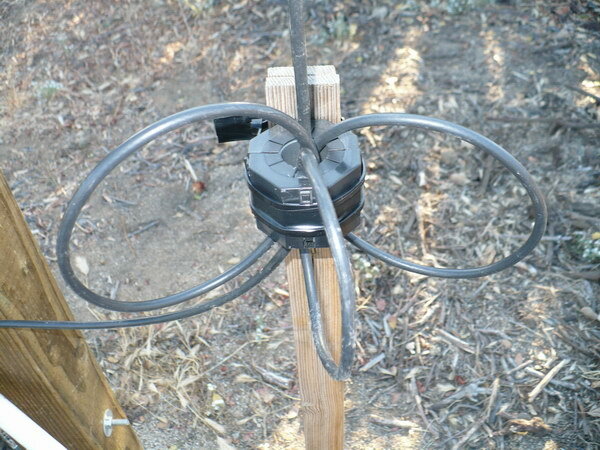 The Windom puts a great signal into the Left Coast and Arizona on 80M. I do a lot of RACES/ARES stuff on 80M. Thanks again for the excellent suggestions. Maybe when my Tech. Class YL gets used to the one long wire I can put up some more. With 8 acres it's not like I don't have room. Only problem is in the high desert here all our trees are around 20 feet high! Can you say NVIS? Well, the end of the story for now, is Jim was right. The more I tried to build a current choke the worse it got so, I tore it all out and put my little ones back in. The VSWR in 1.9 Mhz is 1.2 to 1 and my tuners are happy. I ASSUME, since I have the feed line buried from the antenna to the shack mother earth is my common mode choke as I don't appear to have any RF in the shack. Hopefully this little exercise will help others.